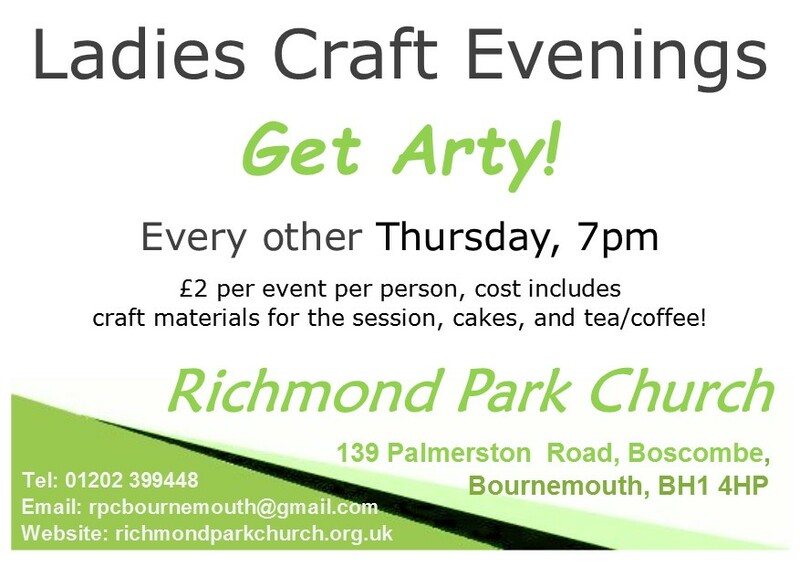 Inviting all women, of any age, to join some of the ladies of Richmond Park Church for creative arts and crafts sessions, every other Thursday, starting at 7pm. With chat, cakes, and tea & coffee! 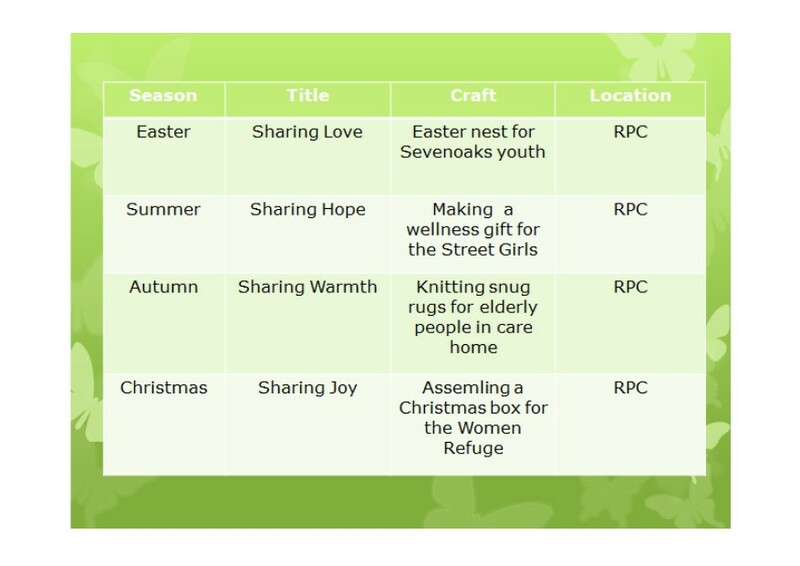 £2 per event per person, cost includes craft materials for the session, cakes, and tea/coffee.